On Friday, July 27th, 2018, Oceana wrote to Fisheries Administrator Beverly Wade to request all relevant data related to the use of gillnets in Belizean waters, including the list of licensed gillnetters. It is our position that this data should be available to the public, as it is our collective right as citizens of Belize to be fully informed about who is accessing our shared natural resources and how they are doing so. Oceana maintains that responsible fisheries management should include shared data and information about publicly owned resources. We reassure the Belizean public that we will continue to push for transparency and accountability in the process of fisheries management. After more than two decades of “conversation”, it is time that all the issues related to gillnets are addressed objectively, transparently and in support of national efforts to ensure sustainable fisheries management, elimination of corruption and increased accountability. The more than 2,700 Belizean commercial fishers, the more than 2500 Belizean sports fishing guides and everyone else who wants to see fishing not go the way of the Sawfish, the Sea Cucumber and every other collapsed fishery, deserve nothing less than full transparency. The mandate of the recently commissioned Gillnet Task Force is to “reduce the harmful impacts of gillnets” which affirms that gillnets have harmful impacts. According to the Fisheries Department, of the 2,716 fishers licensed to commercially fish in Belize, gillnetters represent 6% or 169 fishers. 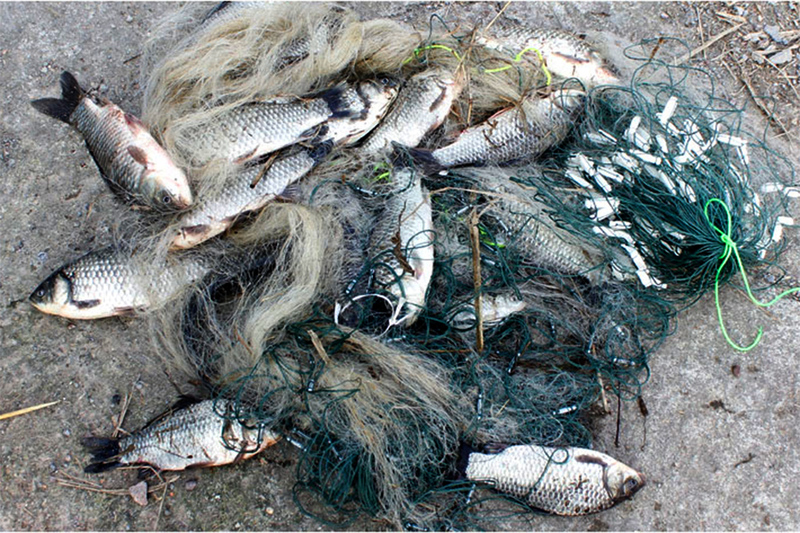 The use of gillnets are already banned in all Marine Protected Areas, at Spawning Aggregation Sites, at the mouth of rivers and should not be used near the shorelines of Monkey River or Placencia. Under law, all nets must be registered and there are specifications related to the size of the mesh as well as the how nets may be placed. However, a lack of monitoring and enforcement has meant that gillnets are consistently being used in places they shouldn’t be and in ways already prohibited by law. Moreover, Belizean fishers assert that this is the gear of choice in illegal fishing activity. Gillnets are therefore undermining the “protected” status of several species via bycatch, general sustainability efforts and most significantly, compromising the livelihoods of thousands of Belizeans who depend on a healthy sea. It is Oceana’s position that this gear can be phased out and that the 169 fishers licensed to use this gear can be supported to transition to sustainable gear and alternatives. We therefore look forward to the release of this key fisheries data by the Belize Fisheries Department. Informed decision making is the only way forward. Belizean fishers deserve to keep fishing and if done sustainably, Belizeans will always be able to fish.